What a touchy topic. We rarely go back on a offer, it’s actually extremely rare. I can only think of two times in the last several years that we had to backtrack on what we had offered on a diamond through our website. Both occasions were in regards to cloudy diamonds that were visually cloudy but did not appear cloudy on the certification. Clouds come across as a fog or haze and they can give a milky appearance that makes a cloudy diamond appear quite dull and lifeless. The most common reason for this appearance is fluorescence, yet not all fluorescence has that visual attribute. The diamonds that we had to backtrack on had significant clouds but didn’t have the fluorescence. This is where it starts getting tricky. When we all think of a clarity grade, it’s based on the inclusions and the color, placement and size of those inclusions. With that in mind, it seems somewhat easy to deduce an actually clarity. Some clouds are actual microscopic inclusions that are present throughout the entire stone. 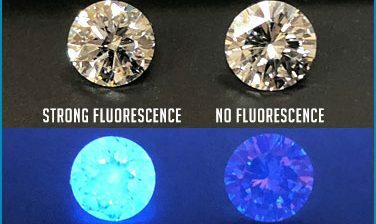 So for example the stone may be extremely clean of larger inclusions, have a haze running through out the entire stone and receive the same exact clarity grade a stone with just a few larger inclusions. 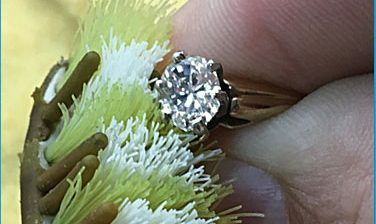 This is the case in the two diamonds in the photo. The cloudy diamond on the left came in through speedy diamond and the non-cloudy diamond on the right we already had. The certifications were almost exactly the same, with the exception of just one step off in color. These two stones have a radically different visual presence. Something to look for is in the “comments” section at the base of the certification from GIA. It’ll say something like this “Clouds are not shown” which can kind of act like a little warning label. These can be very minute or a very big deal. Small clouds are generally mapped in the diamond plot, but the huge overall stone effects can often not be. They certainly should be. Most people do not realize that they own a cloudy stone until it’s visually compared to stone that doesn’t have one. Most brick and mortar stones don’t prefer to carry cloudy diamonds. 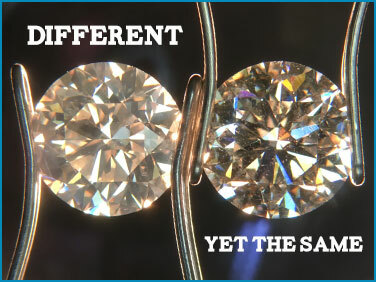 Customers often compare multiple stones when purchasing in person and the cloudy stones never get sold. This where the diamond.com’s come into play. Websites are the perfect place to sell a diamond that a brick and mortar wouldn’t purchase. 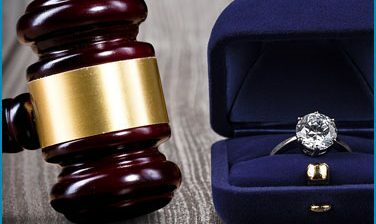 Of course not every stone on the web is like that, but a very important strategy in selling a diamond online is that the customer can only view the one that they purchase. Just as it’s difficult, if not impossible to judge when purchasing as a consumer, these are equally difficult to submit for resale. Especially if the seller is unaware of the issues within the stone.